Want to find out how much you can get for you land? Let me make you a fair, no obligation cash offer. To get started, simple fill out the form or scroll down to find out more about how the process works. We buy land in Florida for cash so you don’t have to worry about it. Do any of the following questions apply to you? Just want to get cash fast for your land? Dealing with tax or property issues? Inherited land that you don’t want to deal with? You’ve found the right place! Value land buyers is a professional land buying company that works with land owners in Florida. Instead of than just trying to get a good deal….we focus on customer service. We want this experience to be simple and smooth. We buy land Florida! We work to come up with a fair value. We then work with land owners to figure how we can help them find quick solutions and get cash. We Buy Land Florida – What’s your situation? Inherited your land and don’t want to deal with it? Tired of taxes, upkeep costs, and improvements? Want to use the funds for something else? Feel like spending your time on something else? We want to help you sell your land fast with a cash offer so that you can focus on what’s more important to you. For most people, owning land can be difficult….selling land can be even harder. For many properties, we can close in as little as 2 days if necessary! We buy land Florida! Selling land is hard. You have to prep it, come up with a marketing packet, list it, talk to countless buyers how may be interested. Or, even worse, talk to no one because no one is interested. 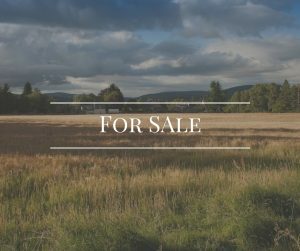 It can be very hard to find buyers for land because it’s much more niche than buying and selling houses. We know how it feels! Compare selling to us vs. listing with a realtor vs. trying to sell it yourself. We’re different! We are not real estate agents. We want to buy your land fast. We are land purchasing company and our goal is to move quickly to help you sell your land fast. See how it works. We’ll then do some research on your land, make an evaluation, and make you an offer. Here’s a basic site on land value. We buy land Florida to help people who don’t want to sell the conventional way. This business is how we make a living. We always treat people with respect. If you own a piece of land that is more hassle than it’s worth. If you owe taxes or just don’t feel like worrying about it, we’re here to help you with a quick land sale. If you’d like to learn more fill out this form to get a quick cash offer for your land. Fill in basic contact information — on this form. We’ll then gather property information.